Oceania Cruises has unveiled a collection of more than 30 new itineraries for the Winter 2017-18 season aboard Regatta, Marina, Riviera, and Sirena. 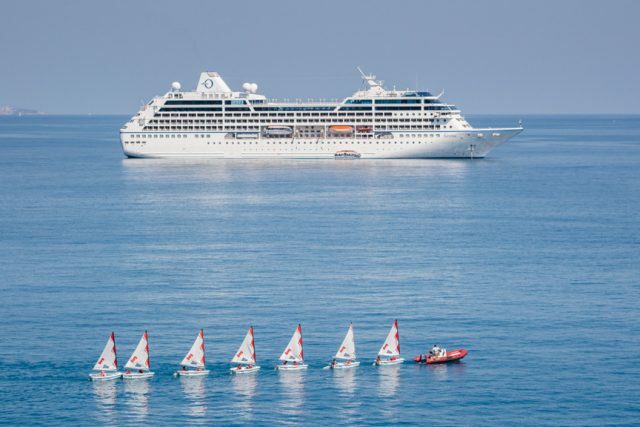 Ranging from nine to 34 days, these new voyages afford discerning travelers to embark on an Oceania Cruises voyage that is close to home or explore paradise half a world away. Highlights of the new voyages include Sirena’s in-depth exploration of South America, including an all-new Amazon voyage from Miami to Rio de Janeiro and a 35-day journey from San Diego to Rio de Janeiro which includes coastal Mexico, the Panama Canal, and Devil’s Island. Regatta covers the South Pacific in almost its entirety, including a reprisal of the epic circumnavigation of the Australian continent and an adventurous jaunt through the Coral and Timor Seas to Indonesia. [/media-credit] Oceania Sirena at anchor off Monte Carlo, Monaco on her maiden voyage in April, 2016. Marina combines the best of South America and the South Pacific with a mélange of alluring itineraries, featuring the breathtaking icons and ruins of lost civilizations with the languid and pearl-like seas of Tahiti and French Polynesia. Regatta, Marina, Riviera, and Sirena all offer Oceania Cruises’ inimitable Caribbean experiences as they travel to boutique ports that are havens of the jet-set, plus the lines’ very own resort-destination in Belize, along with some of the region’s most renowned and popular ports of call.